How To Get An Infinite Return On Property? How To Get An Infinite Return On Property? 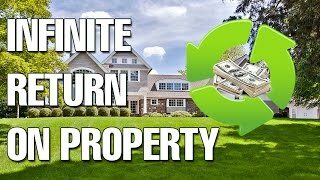 Getting an infinite return on property sounds amazing. But how do you get an infinite return on property as is it actually as good as it sounds? “I recently watched a YouTube video from Robert Kiyosaki from Rich Dad Poor Dad called “Infinite Return” it leaves a lot of info out such as gross rental income, what kind of loan interest only or other. Can you comment on this strategy of real estate investing and whether you think they ever intend to pay off this property or not. Would they have the option of replicating the strategy on another project and using the dividends from that to pay off the original project? Firstly, Here is the Robert Kiyosaki video daniel was talking about. That’s not what Robert’s talking about. He’s not talking about infinite amounts of money and being infinitely rich, what he’s talking about is the fact that if you put zero dollars into a deal and all you use is other people’s money effectively your cash on cash return will be infinite. The reason this happens is in order to generate a cash on cash return what we do is we get the annual income or the annual profit that is derived from an investment and we divide that by the amount of money that we put into the investment. Let’s say we get a $1,000 back from the investment and we’ve invested $20,000 into it. What we would do is 1,000 divided by 20,000 which is going to give us 0.05 of 5%. However if you haven’t invested any of your own money into a property and it’s generating $1,000 what you’re going to do is take $1,000 and divide it by 0. Now in mathematics anything divided by 0 actually equals infinity and so this is how we the idea of infinite return. A really simple example of an infinite return is when you take an equity loan from another property you have. You get an equity loan and you draw out that equity (which is effectively creating another loan) so you’re borrowing that money from the bank. You then use that equity as a deposit on the new property and you get a loan for the remainder of that property. Effectively you haven’t gone into your bank account and shelled out any money, you haven’t had to go to work in order to generate a certain amount of money and save that to buy that property. You borrowed money from the bank using your house’s security and you borrowed the rest using the new property as security. Effectively you have $0 invested in the deal. This would be an example of an infinite return deal if you didn’t then put any other money into the property for example if it was negatively geared. This is what he’s talking about when it comes to infinite return. The way to achieve an infinite return would be to use other people’s money and that would either be through the banks like getting an equity loan or getting 100% loan which is really only available with guarantor loans. You could do that or you could invest with other people and they put up the money and you put up the knowledge and expertise or the sweat equity. Talking about Ken McElroy and the way that he does property from my knowledge is that he actually gains a stake in the properties that he invests in. He uses sweat equity and his expertise in order to generate deals. He would go and investigate a property, do all the due diligence, make an offer, get it accepted and then he would go out to different investors and he will source funding for that property. I don’t know exactly how he structures things and how much ownership he gets or even if that is 100% the way he does it but this is what I’m assuming. Let’s say he gets 10 investors and that each invests 10% of the price of that property. They might invest 10% but only get a 9% share in the ownership of that property and so that leaves 10% left over for Ken at the end of the day. Now these investors probably aren’t too concerned about losing that 1% because what they’re focused on is the return on investment on their money rather than their percentage ownership in a property. They would rather own 9% of a killer property than 100% of a dud property. 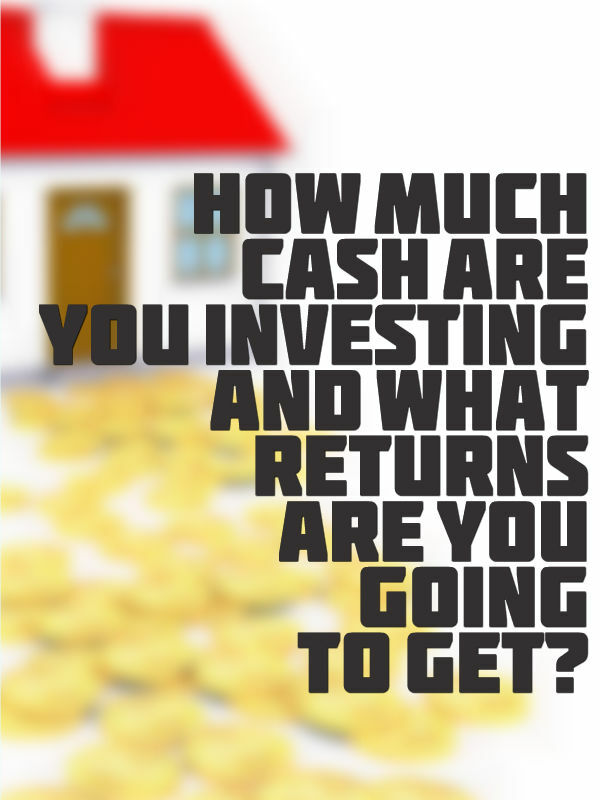 What they want to know is how much cash are they investing and what returns they’re going to get for the cash that they’re investing. Ken may also make money on commissions and fees for managing the property as well that could be something on the side. I do think he would take ownership in it. From what I would imagine that would be where the big bucks were. When talking about interest rates on deals and stuff like that, getting an equity loan and then using that to purchase property is very common in Australia. It’s highly unlikely that you are going to see inflated interest rates in that example if you go and purchase property owner finance which is another way to potentially get an infinite return because owner finance sometimes can be more flexible and you can avoid putting down a deposit. If you can avoid that deposit owner finance deals tend to have higher interest rates that come with them. I think that answers all of your questions Daniel and really covers the concept of an infinite return. It’s not infinite in the fact that its making infinite amount of money and they haven’t covered the gross rental yield is and that sort of stuff cause it doesn’t matter. If you make $1 on a property you’ve invested nothing into it that’s an infinite return. If you make $10,000,000 on a property and you’ve invested nothing into it, it’s an infinite return as well. If you’ve invested a year of your life and the property makes $1 even if you’ve invested no money of your own into it, is it really worth all that work for a dollar? Well probably not, even though you got an infinite return and it sounds great it doesn’t necessarily mean its a great investment in terms of the time you’ve put into it. So infinite return is something that we can say because it’s fun to talk about. It’s fun to talk about playing with someone else’s money and getting a return on an investment with someone else’s money and never having to have money ourselves. But it’s not a real indicator whether or not you should invest in a property or whether or not that particular investment strategy is going to work.